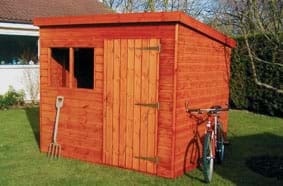 Timber sheds and potting sheds. 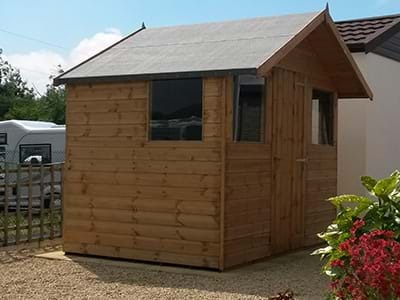 MPG Buildings have been providing quality garden buildings to Derbyshire, Nottinghamshire and Staffordshire for nearly 40 years. 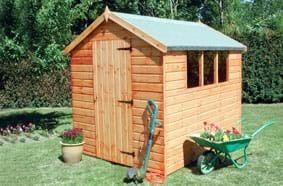 We can arrange for the removal of old garden buildings and we are more than pleased to quote for your particular requirements. 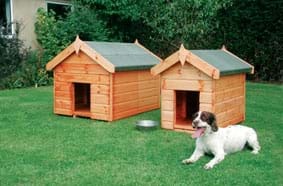 Shaws timber buildings are made in Yorkshire and produced using the only finest Scandinavian pine timber, obtained from managed forests of Northern Finland and Sweden. The timber is firstly kiln dried, grade selected and then cut to length. 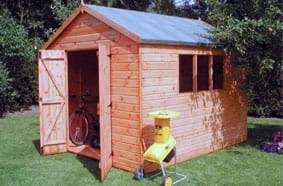 Shaws buildings are entirely made from timber; there is no chipboard, MDF or any other particle board. 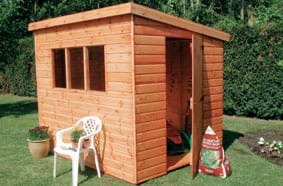 From the roof to the floor to the walls, all cladding is premium grade softwood pine. 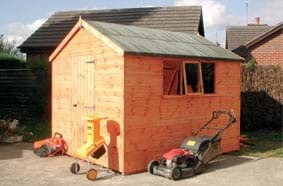 Right from the first moment we viewed a Shaws timber shed, their quality of materials and build was very much apparent. They give every building their personal attention to detail of design through to build and then on to completion. Shaws always very conscious of the importance of price, they also recognise that buildings have to last many, many years so never manufacture products of an inferior quality. 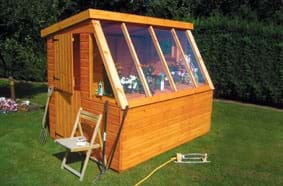 Shaws are a progressive forward thinking company with a genuine interest in environmental issues, they are FSC registered and use a water based ECO friendly treatment for all there buildings, they ensure all timber suppliers are also FSC/PEFC registered. 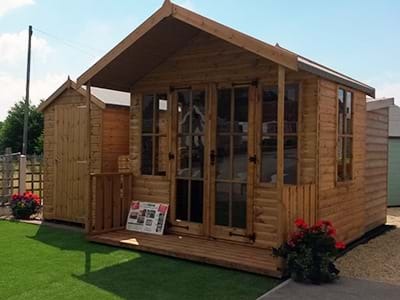 You are more than welcome to visit our display site and see first hand the excellent “Shaws for Sheds” timber garden buildings. 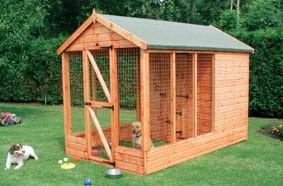 Our display site is open 7 days a week and we are within a 15 minute journey from Derby, Burton on Trent and 30 minutes from Nottingham. 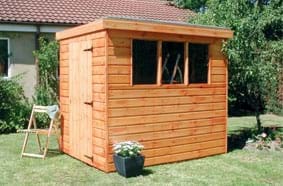 Style - Our most popular timber shed comes with an Apex roof – customers tell us that this ‘traditional’ style of shed is more appealing to the eye. 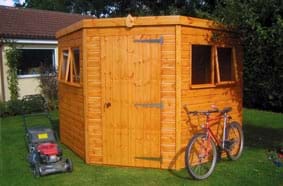 However, many people who want to use their shed as a workshop seem to prefer a Pent building. 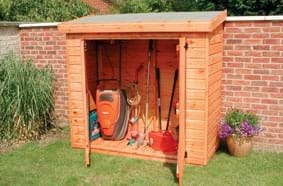 It’s purely a matter of how you intend to use your shed. Size is normally dictated by the proposed area for the new building. 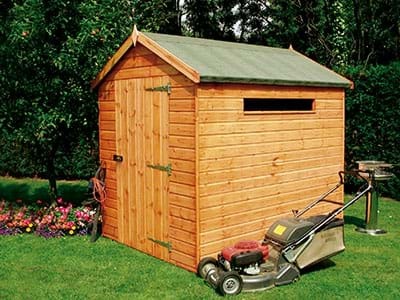 Consider how much storage or working space you need and choose the biggest shed that the space will accommodate. Many of our customers are so pleased with their purchase that they have commented that they wished they had gone for a larger building as they could then have made more use of additional space. When planning how large a summer house you need, consider whether you will use it for entertaining – it will need to accommodate a dining table and chairs comfortably. 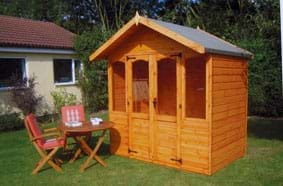 Octagonal summer houses are very popular and attractive buildings but will restrict the space available for dining / garden furniture. 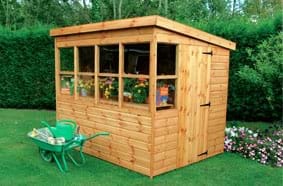 A Corner Summer house is a wonderful building for a sunny corner of your garden but their shape means interior space could be sacrificed. 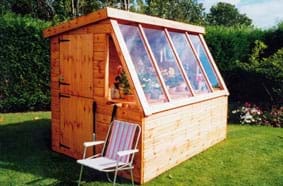 The rectangular Georgian style summer house offers the best shape for practical reasons and, with the use of double door options, can be really opened up to create a very functional garden room. 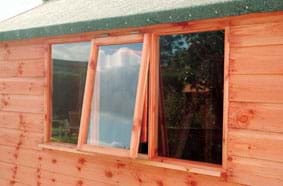 Opening windows allow the building to be used as a workshop, summer house or home office. 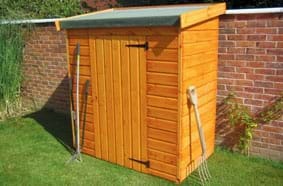 Double doors (2 x 2ft) are available. 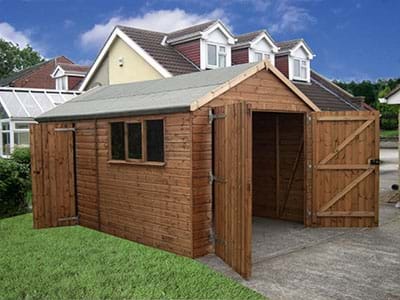 Points to consider when choosing your new timber shed / timber summer house or timber playhouse. 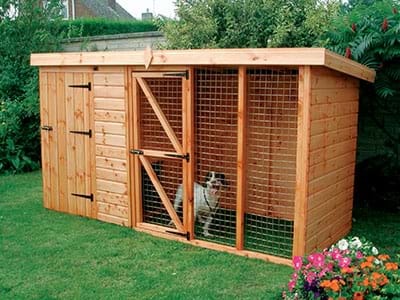 Access to the base should be adequate and without obstructions, allowing for safe delivery of your new garden building. The parts for these buildings cannot be carried through a customer’s home. 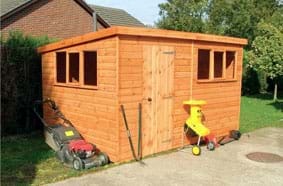 Following this practical advice should ensure that your new timber shed, timber workshop, timber summer house or home office gives you many, many years of enjoyment. 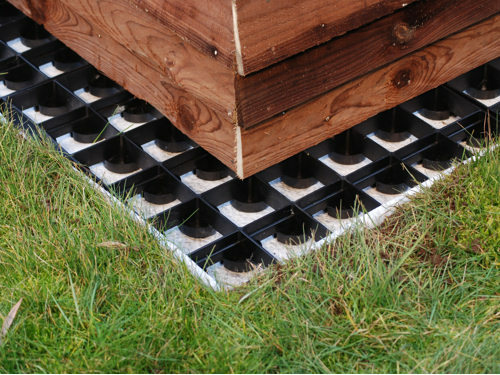 EcoBase - A lightweight and eco-friendly alternative to traditional concrete bases for sheds, cabins and greenhouses. Made from UV stabilized 100% recycled plastic. Each grid is: 500mm x 500mm x 50mm. Weight: 1.8kg per grid. Crushability: 185 tonnes m2. Each grid holds approximately 16.5kg of 10mm pea gravel. Lay out your EcoBase on top of the membrane. Cut to size if necessary. 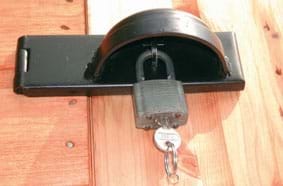 Lock the EcoBase together using the EcoPins. A flat surface grid designed to support flat bottomed structures.